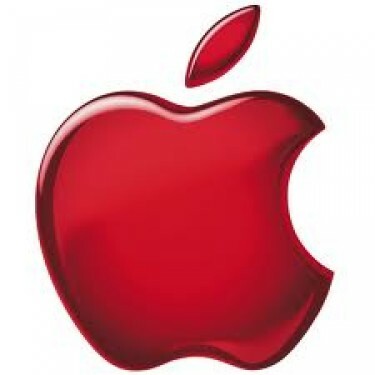 Apple inc. (AAPL): Is This the Only Adult in the Room? Apple Inc. (NASDAQ:AAPL), whether it likes it or not, was found to have conspired with several major U.S. publishers to fix prices on e-books at around the time the iPad was introduced to the market. Whether the “conspiracy” was designed to offset the massive market-share lead in e-books that Amazon.com, Inc. (NASDAQ:AMZN) enjoyed at the time, may stil be debated around Cupertino, but one thing for sure resulted from the meetings that Apple Inc. had with the publishers – the pricing model for ee-books – which were initially based on whatever a retailer wanted to charge – were placed in control of the publishers. While Apple Inc. (NASDAQ:AAPL) is currently complaining to the court about the excessive fees the court-appointed compliance monitor is charging – one of a few issues the company has with this whole thing – the company now has a patent that may make it easy for CEO Tim Cook to pay the $1,100-per-hour bill straight from his personal iPhone. OK< well, once an iPhone actually has a near-field communication (NFC) antenna installed. Although NFC has not made it onto an iPhone as of yet, Apple Inc. has received a patent that uses the technology as part of a system that it called a “secure enclave” to allow for more secure mobile transactions using NFC, Wi-fi and Bluetooth. According to the description, the system developed by Apple Inc. (NASDAQ:AAPL) would provide this “enclave” to store a customer’s car data, use NFC to begin a transaction by opening the communication lines with a point-of-sale (POS) machine, then Bluetooth and Wi-fi would be used to finish the transaction by transferring the encrypted card data to the POS device using the secure link created by NFC. In the wake of security breaches at several retailers that compromised credit- and debit-card information of millions of customers nationwide and with inherent risks of Wi-fi being over-the-air, if there is something that can enhance safety and security of such sensitive information and yet make transactions quicker and more mobile, then cerainlny one would think that NFC woulld be coming to an iPhone near us soon. There was a TV show about the worst jobs in America. At the time, the job of Apple inc. (NASDAQ:AAPL) compliance monitor did not exist, but it just may be on that show now. Michael Bromwich just might have one of the worst jobs in America. The former prosecutor was appointed by U.S. District Judge Denise Cote to monitor Apple Inc. in the wake of the price-fixing case, and his job is to ensure that Apple Inc. (NASDAQ:AAPL) complies with the order of the court and reforms how it enter into e-book contracts with various publishing houses – including those who were initially working with Apple Inc. But while Bromwich is trying to do his job – which includes understanding what Apple Inc. was doing in the first place in its dealings with e-book publishers, and ensure that Apple Inc. is not repeating the same mistakes – he is being stonewalled at every opportunity, as he wrote to the court. Cote sent submitted a 64-page “reprimand” to Apple Inc. (NASDAQ:AAPL), telling the company that its stonewalling of the mkoitor is actually justifying the need for the monitor in the first place, since the monitor’s job is to make Apple Inc.’s process more transparent so the company does not get into trouble with the feds over its dealings with e-book publishers. Bromwich reported that he has only been granted little more than 12 hours of interviews in three months, and that seven of the 11 people he has interviewed were attorneys. He has requested speaking with CEO Tim Cook, design chief Jonny Ive and many of the board members – including former vice president al Gore – but has been denied access. Must be tough being the only grown-up at headquarters.